One of my favourite parts of restaurant photography is capturing some of the kitchen action, especially when the chefs are at full steam. The kitchen is where some glorious moments live. 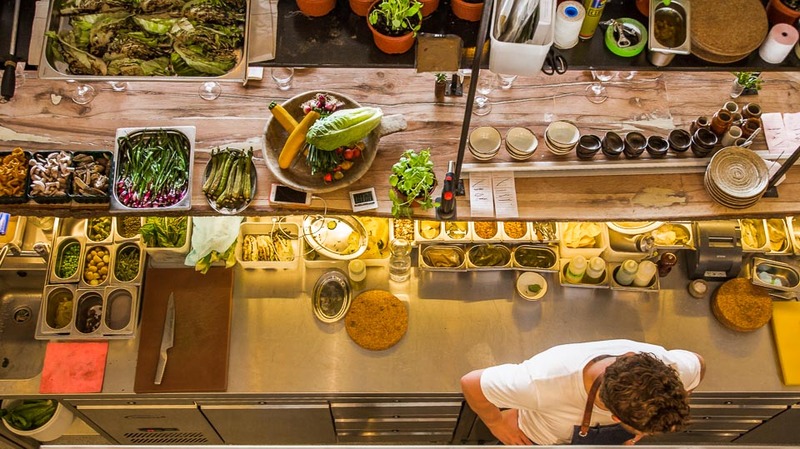 It’s the engine room of the restaurant, where magical, culinary alchemy takes place. There are some things you should know before taking on this challenging environment. A busy restaurant kitchen can be an intimidating place if you’re not a chef and used to what’s going on. The pressure is building. Hot ovens, stovetops and deliberately fast moving chefs surround you. You need to get in there to grab some of the real action, but you don’t want to be in the way. You’re thinking this could get ugly in a heartbeat? I’ve heard of many food photographers who wouldn’t dream of offering to shoot restaurant photography. Often this is simply because they’re afraid of the chef’s environment. We’ve all seen the TV shows where the chef is kicking off and tearing down a junior chef. They can come across as terrifying monsters. Now don’t get me wrong, there are quite a number of chefs who have this reputation, and they’re not to be messed with in their kitchen. It’s usually for a very good reason. Understanding chefs is key to helping you and your restaurant photography. When you’re shooting in a commercial kitchen the environment will be entirely different, depending on what’s happening in the restaurant at the time. Obviously during service is the most exciting and potentially stressful time. Before service there’s a lot of preparation going on, it’s busy but without the push and buzz of service. 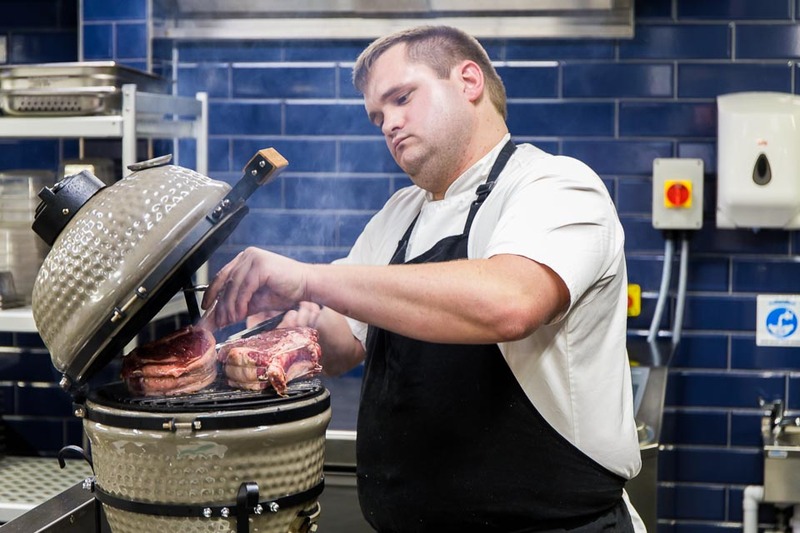 You may also be brought in to shoot when the restaurant is closed, therefore having maximum access to the chef in the kitchen in a more controllable environment. Chefs aren’t as unreasonable as some TV shows have portrayed. Many I’ve worked with have been amazingly accommodating and positively eager to help you get the cool shots. You should also bear in mind, if you’ve been hired by the chef to come in and create amazing images, they’re going to want to help you get what you need. If you want to move into restaurant photography I highly recommend you learn how the whole thing works. I equate it to sports photography in many ways. You need to understand what goes on, when it happens and how it looks to be a fly on the wall, overseeing the whole restaurant dance. I also recommend you become familiar with some of the terminology. Having a better idea of what’s going on and communicating in their language is a great asset. Don’t forget to talk to the chefs, ask if you can get in close for a shot. Studying all this will allow you to more comfortably work in the commercial kitchen. You’ll hone your peripheral vision and use it well, even when the camera is in front of your face. You’ll want to quickly and deliberately move out of the way of a chef carrying a heavy, boiling hot, stock pot. Learning where to be and not to be is another great skill. Standing back with a long lens will only get you so far and often the perspective and character of the shot is lost this way. Have an idea of what kind of shots you want before you start. Before the shoot, go over and over these shots you’d like to capture. This way your brain knows these shots are important and will help you spot the moments when they come up. 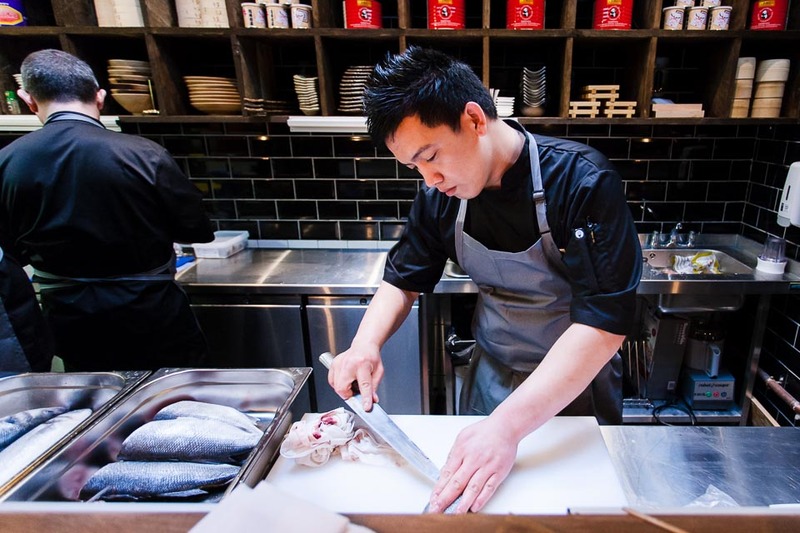 If you can hunt out restaurants with open kitchens and pay them a visit. Order a snack then sit and watch what goes on, not just in the kitchen, but front of house too. Your understanding of restaurants will grow significantly. Beyond that, you need to watch the chef or whoever you are photographing. Quickly learn their movements and routines. 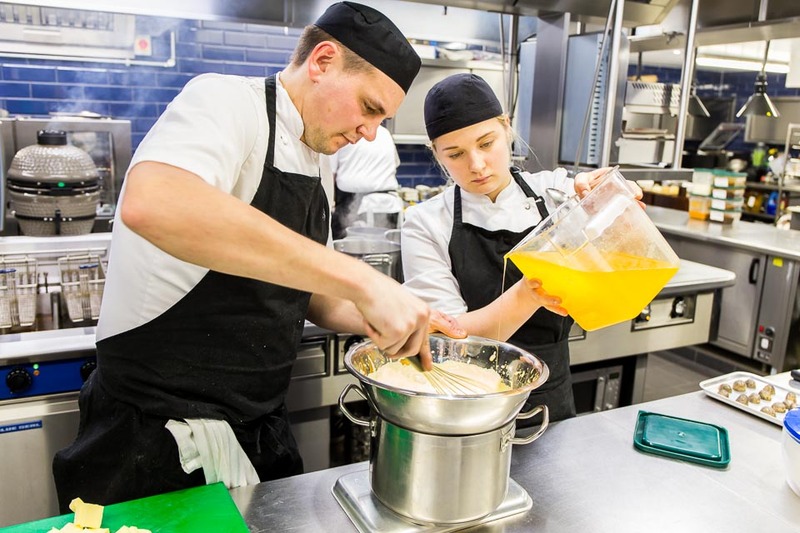 Once into service, you’ll need to watch out for the opportunity to capture the chef at their best. Picking up some interesting shots is all about knowing what’s going on and looking for that gesture. The interaction between two people. The knife cutting through, effortlessly. Steam billowing up from a hot pan and partially obscuring the chefs face. This is all the magic that happens in a commercial kitchen. 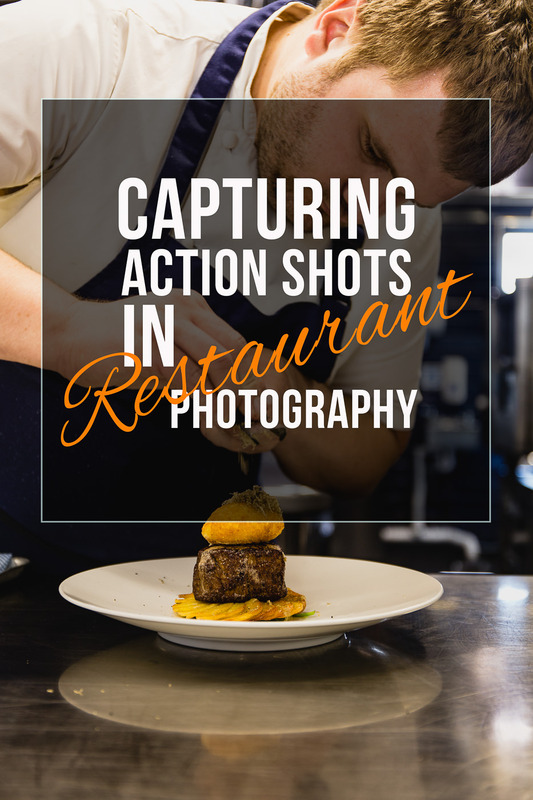 Here’s your JT quick, tapas tips for getting action shots in your restaurant photography. If you’re not excited about getting into restaurant photography, don’t do it. Learn how restaurant people think. What’s most important to them and does that align with your authentic self. Research the chef you’ll be working with, that’ll help with 1 & 2. Have a look online and social media to see what kind of food is served, is it artistry on a plate or is it traditional plating. If you can visit the restaurant before the shoot and ask to visit the kitchen. Introduce yourself to the chef and tell them you’re preparing for the shoot. They’ll probably appreciate your extra effort and you can begin to build your relationship. 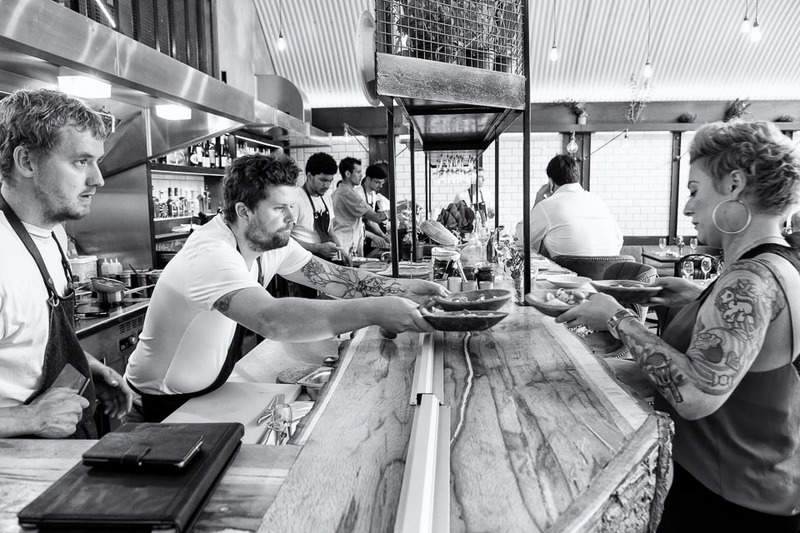 Look for the interactions between the head chef and their team. It’ll help you read the action and be ready for a shot. When you’re in the kitchen, try to think ahead so you’re not in the way but ready to catch some juicy action. Learn some of the kitchen languages, it’ll help you interact and understand what’s going on. Let the chefs know you’ll be trying to get some great shots and you’ll do your best not to be a nuisance. Once again, if you’ve been hired by the restaurant, they want you to get in there and grab the good shots. Don’t be afraid to get stuck in. This should really be number 1. NEVER and I mean NEVER, say to a chef you’re tired. You probably don’t know the meaning of tired compared to most chefs. If you’re asked, you are amazing, excited to be there and looking forward to the shoot. That’s all for today. I hope that it’s been of some help for any of you who want to step into the delicious world of restaurant photography. If you have any questions please leave them in the comments below and I’ll get back to you as soon as I can. Thanks for your company and I’ll see you soon. PS. If you’re planning on visiting The Photography Show in Birmingham, UK in a couple of weeks, drop me a line, I’d love to meet up. Great article with some really excellent advice! Hey thanks Keith. So glad you liked it. Have an fantastic weekend. Great post. And yes… number 10 is a definite! You’re very welcome Yassena, I’m glad you found it helpful.